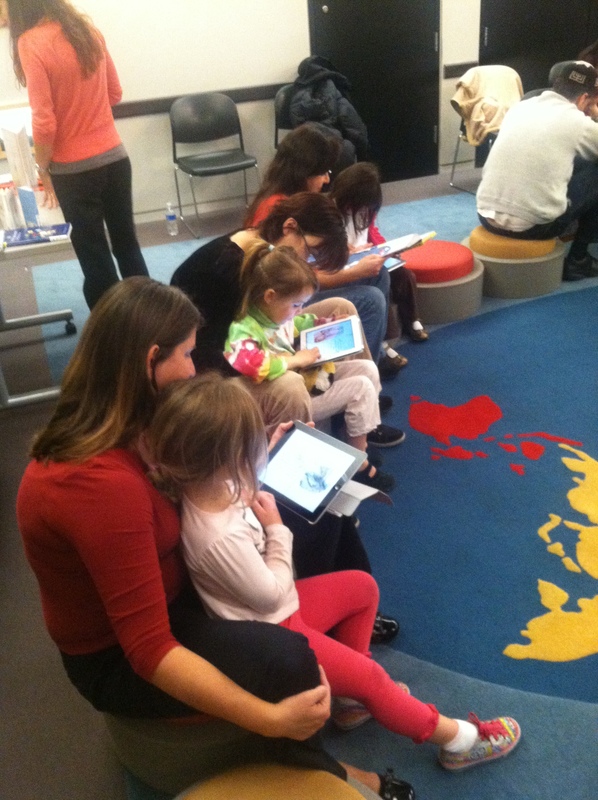 Here at Skokie Public Library, we just started a storytime incorporating iPads. It’s a monthly program for K-1 graders called Primary Time+ and we’ve done 3 so far (see photos of what it looks like on Flickr!). Paula Shapiro (a former intern who now is a children’s librarian at Deerfield Public Library but still generously volunteers to help with this storytime) and I have been presenting a “traditional” storytime format for the first half or so of each 45 minute program. By “traditional” I mean we open with an action song (accompanied by ukulele duet!) and then trade off presenting some longer picture books—we’ve also worked in a couple of jokes and magic tricks. Then we usually split the group in half if there are enough people—attendance has been between 7 and 12 families. One half gets tablets and does individual parent-child app sharing with me available for guidance and questions while Paula runs an early literacy board game like Zingo. After 10 minutes or so we switch groups. Our library has 4 iPads and 2 LeapPads, enough for half the group. We have a folder on each iPad loaded with a selection of recommended apps such as PopOut! Peter Rabbit, Don’t Let the Pigeon Run This App, and The Monster At the End of This Book. We always provide a handout that lists the apps that we’ve featured, as well as free resources such as Tumblebooks on the library’s website and the free Bookboard.com beta. The handouts also list websites for app reviews. We gather print copies of the featured books as well and display them for checkout on a table with the handouts. For the last couple of minutes we bring it back down with “The More We Get Together” on uke and say goodbye! I haven’t done much modeling by presenting app stories, but reading the discussions and posts on this blog has made me realize that it’s important to start doing so! One reason I haven’t yet is because of the logistics of using the overhead projector (lowering the lights, PC running the projector is in the back of the room, etc.). However, I did do a brief demo of Toontastic last month just holding an iPad, which seemed to work okay. We’ll explore our options. 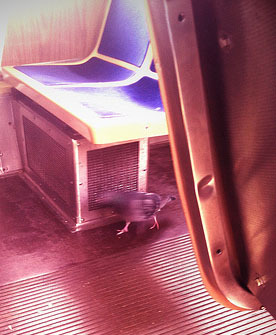 On the morning of our last Primary Time+ a pigeon happened to stroll onto my CTA train car just before the doors closed. I took a few pictures of the pigeon walking back and forth with my phone camera and then shared the photos with the PT+ kids—just by holding up my phone and having them crowd in while I explained what happened. A lively exchange of ideas ensued, including–you guessed it–“Don’t Let the Pigeon Ride the Train!” While this was a spontaneous incident, thinking about it afterward I realized that it was actually a good example of how we can take advantage of new technology to enhance and even create opportunities for exploring storytelling and narrative skills. 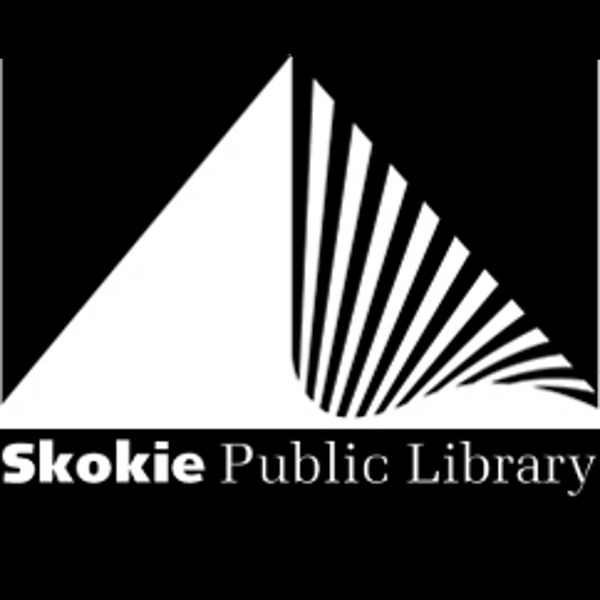 Posted on February 10, 2013, in Apps, iPad, Story Time and tagged Apps in Storytime, Bradley Jones, Skokie Public Library. Bookmark the permalink. 7 Comments. What a delightful example of real life experiences to share using technology!